Those of you who love nautical design themes are in for a completely different treat, thanks to the plans for a new Norwegian restaurant, Under. 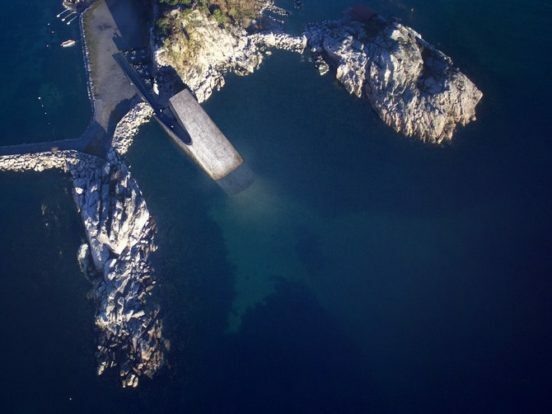 The name is a direct play on the concept, since the restaurant will be the first in Europe to be completely underwater. 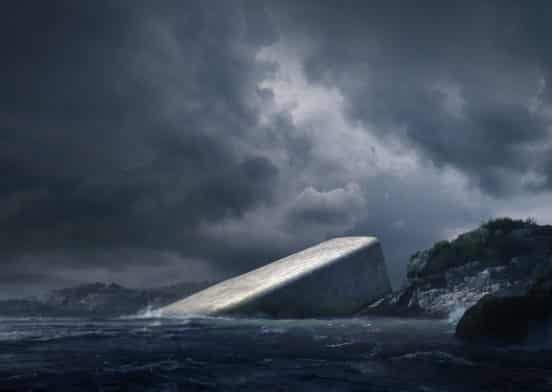 The Oslo and New York-based architecture firm Snøhetta is behind the exciting design. The restaurant will be located on the southwestern coast of Norway, around five hours south of Solo. Under will be half-sunken into the see, about 16 feet underwater. It will feature a 36-foot wide, floor-to-ceiling acrylic window that will give diners an unprecedented bird’s-eye view of their dinner as it swims in the sea. The exterior of this underwater seafood palace will be covered by a mussel reef. The menu has yet to be revealed, but the team is expected to cultivate a seaworthy menu from a top chef. The restaurant will also serve as a marine research center. According to the firm, researchers stationed at Under can help “optimize conditions on the seabed so that fish and shellfish can thrive in proximity to the restaurant.” The artificial muscle reef will be designed to attract mollusks over time, establishing a living colony of the sea life. When mollusks attach themselves to the structure, this will also clean the seawater, which serves a dual purpose – to clean and purify the water, and to make it easier for diners to see the water from the table. This will in turn draw even more marine life to the clean water around the restaurant. The restaurant will seat 80 to 100 people, but there is no opening date yet announced. For guests who want to dine at Under, getting to the structure is part of the fun. Guests will enter through a tide pool to the seabed, passing through a champagne bar at the shore which has a window cutting vertically across all of the restaurant’s levels. The champagne bar features design elements “inspired by the coastal zone, with its subdued colors evoking the sediment of shells, rocks and sand.” The dining room looks to have dark blues and sea greens, inspired by the deepest parts of the sea. Under is located on the North Sea, which is not known for vibrant colors and exotic fish that populate the more colorful Indian Ocean, which already has an underwater eatery in the Maldives. 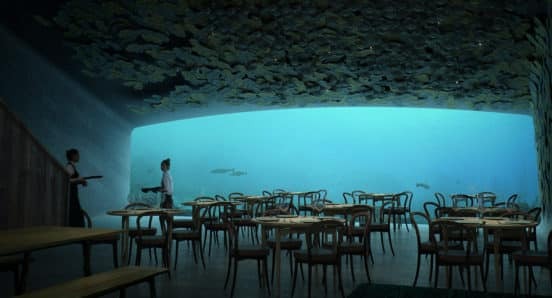 However, Snøhetta believes there are subtler sea life experiences that diners can enjoy. It says there will be “wildlife flourishing on the sandbank outside” that will change according to the season. Although you won’t have to scuba dive to reach Under, the North Sea is notoriously choppy. In fact, it’s thought to be one of the most dangerous seas in the world. Snøhetta is therefore building the structure with walls that are a meter thick and made of concrete in order “to withstand pressure and shock from the rugged sea conditions.” Snøhetta’s site predicts you might get a bit of the fresh salty sea on your entry.”On a day of rough sea, you can feel a hint of fresh, salty ocean spray against your face as you enter the restaurant.” No matter the menu, Under promises a can’t-miss experience.